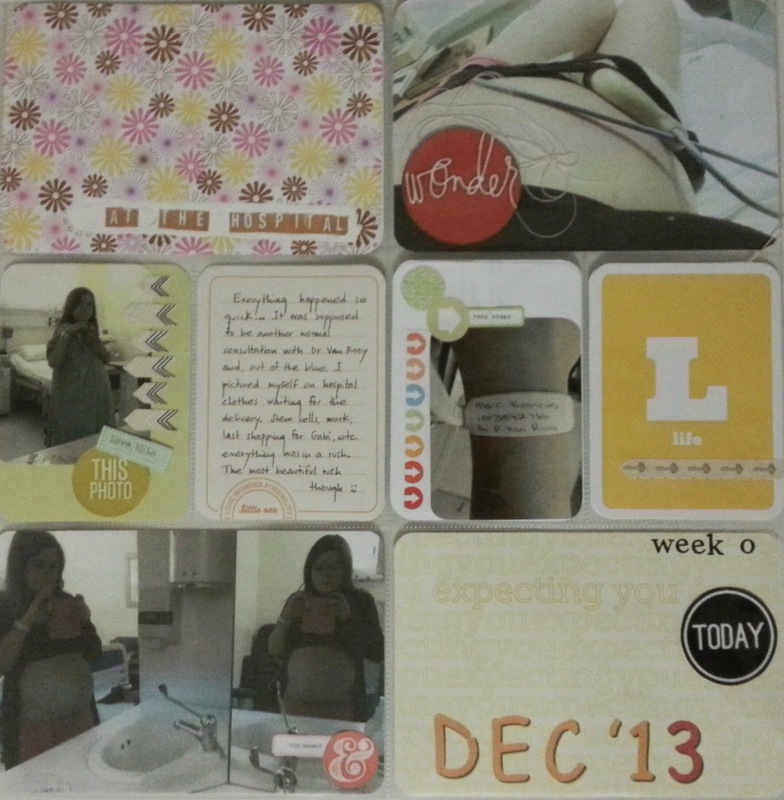 My first spread... the week 0 as it was the days I spent at the hospital before delivering. Just Baby Edition For Her from Becky Higgins. Even though it was my first one before watching any video tutorials, I tried to match the colours from the pictures to balance the spread and make it as harmonic as possible.